This is assumed to be true because the “bullhorns of propaganda” say it’s true. There is never any evidence cited or even a coherent analysis provided to back up this claim. Needless to say, this mindless approach to foreign policy – if it can be called that – ends with car wrecks on someone else’s turf, in this case Ukraine. I submit a completely different and actually very simple interpretation of Putin’s foreign policy. It has nothing to do with an empire and everything to do with respect of ethnic Russians and democratic rights. Putin has no interest in rebuilding the Soviet Union. The Soviet Union was an incredible net economic loss for Russia and Russians. In this century, Russia correctly sees an empire as too costly, politically risky, and importantly at odds with international law. Since the advent of the Putin presidency, the Kremlin has demonstrated it will make smart trade deals with its immediate neighbors, but outright subsidies are to be avoided. (Russia’s overly generous approach toward Ukraine since 1991 is a partial exception – trade relations with Kiev have always been complicated by Russia’s important trade relationship with Europe). Putin’s ‘near abroad’ foreign policy is about people and principles. The day the Soviet Union came to an end, millions of ethnic Russians suddenly found themselves in a country that was not their own. Putin is addressing this painful historical wrong. And it is a very important domestic issue among Russians at home. The West likes to consider itself to be above all others due to its self-proclaimed superior values. This includes values of the right to self-determination. However, these are only often words. Ethnic Russians in the Baltic states frequently see themselves as being treated as second-class citizens within the European Union. They are discriminated against on the basis of language and even cultural values. In Georgia in 2008, they were violently assaulted in South Ossetia. Russia was forced to intervene militarily to protect lives, including those of Russian citizens and internationally recognized peacekeepers. In Ukraine, the same is happening, though on a horrific scale and supported (again) by the West. Putin’s agenda is not to change present borders. (Crimea is of course an exception. It should not have been “given” to Ukraine during the Soviet period on a whim, over the heads of the people there). What Putin wants is to have ethnic Russians on the other side of the border given the same rights of the majority population. This includes a say in both domestic and foreign policies. For example, any government in Ukraine must take into account the opinion of ethnic Russians when joining any military alliance. The US State Department should not be the entity to decide this along with their illegally imposed regime in Kiev. Putin’s approach also includes respect for the cultural values of Russians abroad. For the most part, Russians are culturally and socially conservative. This includes respect for the traditional family unit and reverence for the sacrifices made during the Great Patriot War. Many Western cultural and social values remain alien to many among the Russian population. Said differently: Russia and the West are moving further and further away from each other because of discernible cultural and social differences. The current leadership in Russia is not consumed by ideological determinism like in the West. 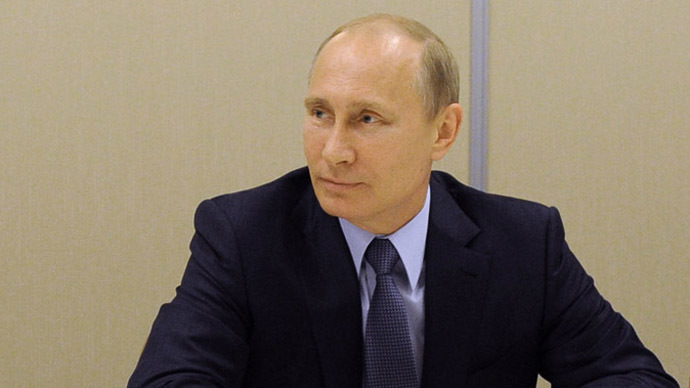 Putin’s worldview is informed by realities found inside Russia and along its borders. Russia’s foreign policy in fact is status quo orientated and risk averse. That cannot be said about the West, particularly Washington. The West assaults country after country in the world in the name of democracy and so-called universal freedoms. This is a lofty mission in name only. Washington’s neo-liberal economic agenda has no place for values or national pride. It is a neo-colonial agenda to forward the greed of the few who have captured the political process and the West’s media echo chamber. Vladimir Putin disagrees. Putin’s empire is of the mind and is found among the people who look to him to express their values. 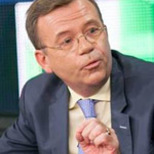 Peter Lavelle is host of RT's political debate program 'CrossTalk' and monthly business program 'On the Money.' His views are his own and not necessarily those of his employer.